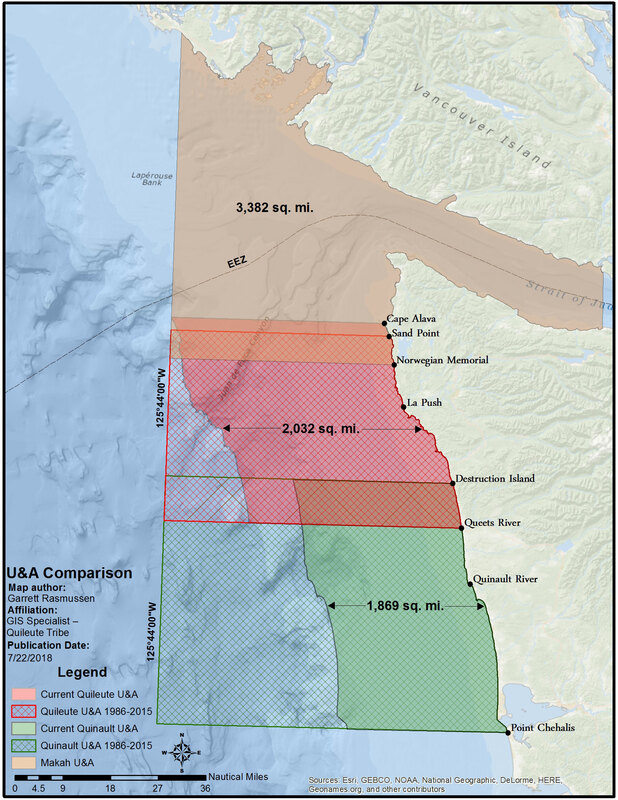 Makah Tribe, “Makah Ocean Policy” Adjudicated U&A Map, United States v. Washington, Case No. C70-9213, Dkt. 21710, p. 2 (3/19/2018). Order re: Makah Tribe’s Ocean Fishing Grounds, United States v. Washington, 626 F. Supp. 1405, 1466-68 (W.D. Wash.), aff’d, 730 F.2d 1314 (9th Cir. 1984).